This is one of those books guys. One of those books that will surprise you. (in the good way) I'm glad that it was a short read, because I was able to get from beginning to end quickly, and I really needed to find out how it ended. Every summer, Cadence and her cousins go to their family owned private island (yes, family OWNED island) and spend the summer eating ice cream, swimming and having cookouts. Cadence spends those island summers with her cousins Johnny, Mirren, and nephew to Johnny's mother's boyfriend, Gat. But summer fifteen (the year they were all fifteen years old) something happened to Cadence. An accident? A crime? She can't remember. She can only remember a few bits and pieces of that summer and the details are foggy. And whenever she tries to bring up that summer, or get some of her questions answered, no one will talk about it. 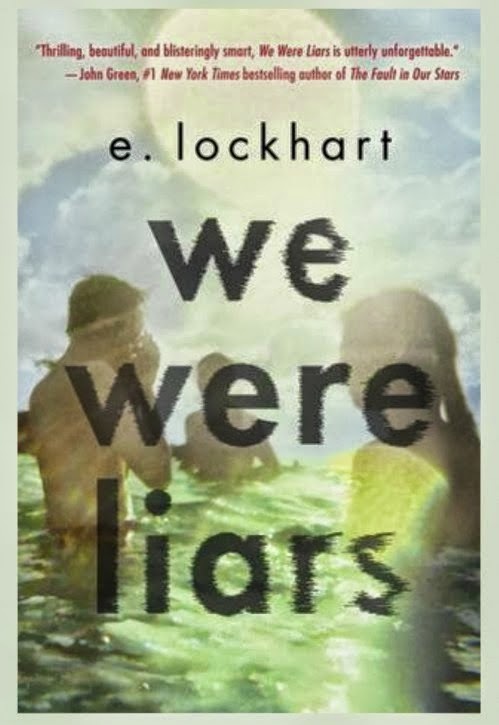 We Were Liars follows Cadence and her cousins through summer seventeen, where the Sinclair family secrets would unravel faster if everyone in the family weren't such liars. About halfway through the book I realized what exactly Lockhart was building up to. I suppose I should have seen it sooner, but I was too caught up in the world she created and the characters to see past them initially. After I got what we were building too, I couldn't read fast enough to see how everything fit together. I was pleased to be surprised at the end. I didn't see that ending at all until Lockhart was spelling it out for me. I love when that happens. After finishing the book, and reflecting on it for awhile, I found several things that had more than one meaning/significance. And since Lockhart does talk about a play on words on the first page, I think it must have been intentional. (I see what you did there!) All in all, I enjoyed this read and recommend it to anyone looking for a good, quick summer book. Johnny and Gat get big on drinking hot tea during summer seventeen, so I recommend steeping your favorite tea in hot water with this read.